To get the most out of Link Aggregation, you really need enterprise hardware. Well, that used to be true anyway. NETGEAR has had the technology in their consumer ReadyNAS line for a while, and recently brought it to their high-end Nighthawk X8 R8500 802.11AC router. If you’re curious about what that looks like in real terms AnandTech has tested it out. The average consumer equipment’s wired ports have been stuck at 1 Gbps for quite some time. On the other hand, 802.11ac enables router manufacturers to market multi-gigabit Wi-Fi. Power users have tried to use prosumer and business switches to take advantage of multiple ports on devices and obtain multi-gigabit throughput. 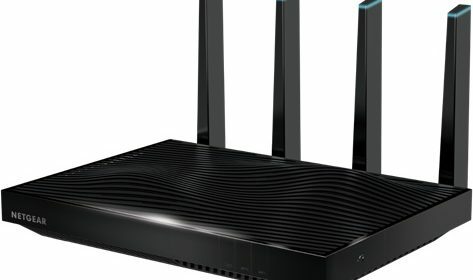 Netgear recently introduced its AC5300-class router, the Nighthawk X8 R8500. One of the interesting features was the availability of 802.3ad LACP in the official firmware. In the marketing material, they also pointed out that it was simple enough for the average user to utilize when combined with a Netgear ReadyNAS unit. « 3D audio firm Auro Technologies steps into hardware. Will launch two AVR lines this year.